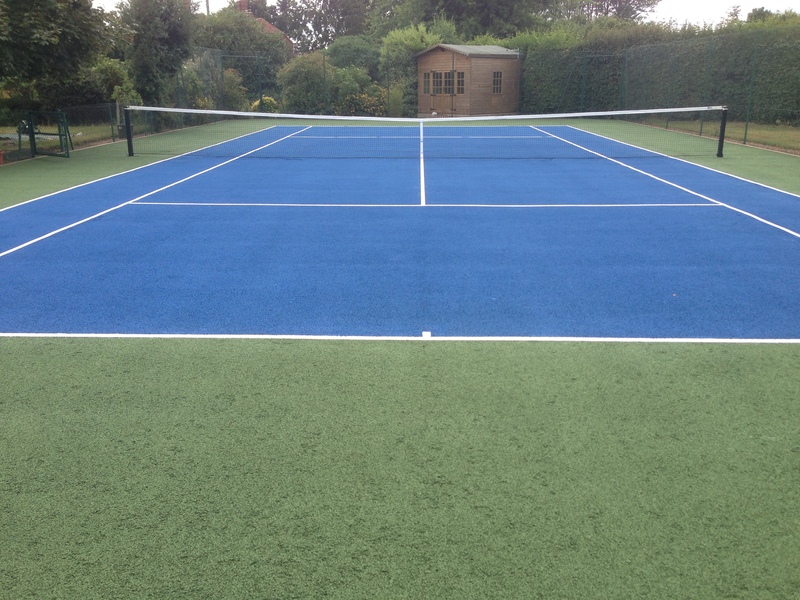 In the UK tennis court dimensions can vary and there is no standard size for every facility, however the game line markings are usually applied to the same sizes at 10.97 width x 23.77m length. 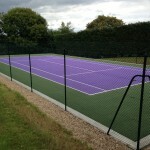 We are able to build these facilities in a number of designs to suit what you need. 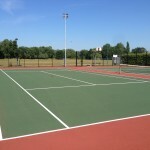 We are able to install facilities in these various sizes to suit each different client. Feel free to contact us and let us know if you are interested in having one of these surfaces built. 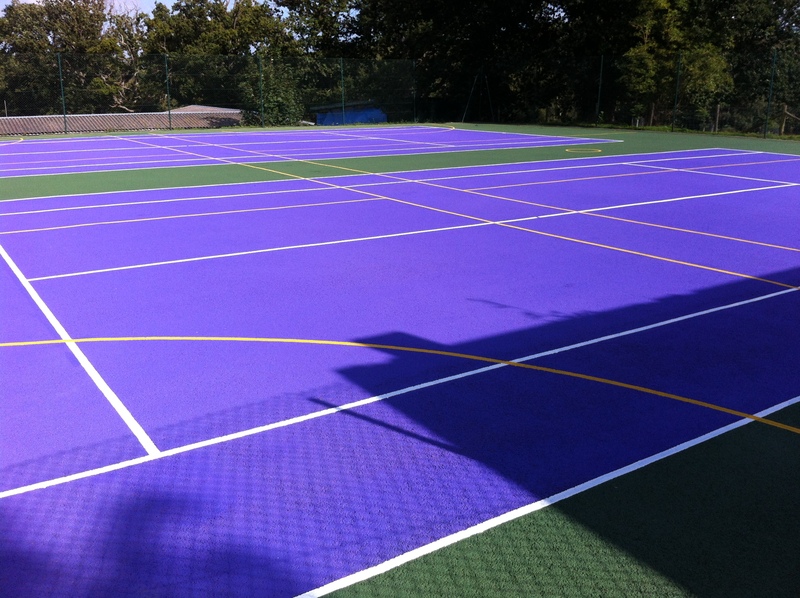 Our team have worked with many professional clubs, schools and individuals to offer a range of requirements. Just complete our contact form to let us know exactly what you need and we’ll provide a quote for the work. These sizes are given as an outline and can be altered depending on the specifications, budgets and requirements of each organisation and project. A good quality facility must be designed and installed properly to ensure good performance characteristics as well as maintaining the safety of the players to prevent injury. Depending on how the area will be used, you could choose from different specifications for either recreational or professional use. In many cases schools could choose to have a smaller area built to reduce costs as it may only be used to PE lessons and practise games. 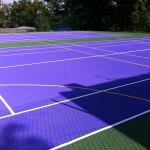 The bigger, professional standard courts are usually installed at clubs where competitive matches take place. 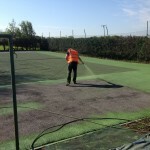 If you are thinking about installing a surface like this, don’t hesitate to contact us to discuss the project further. Let us know what your budget it and we’ll offer a quote which is affordable for you. 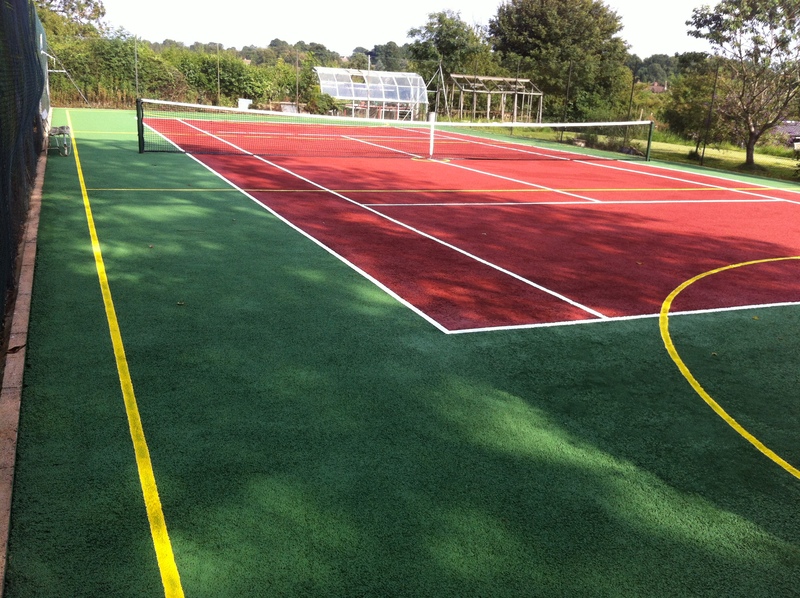 The sports facilities can be installed at these tennis court sizes in a variety of different surfacing types in the UK including porous macadam, polymeric rubber and artificial grass. 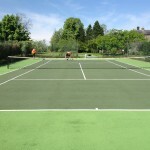 Professional tennis line marking can also be applied to these surfaces to ensure that game scoring is clear and accurate. 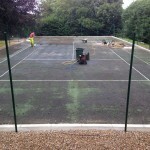 It is vital to make sure that your sports facility is installed by a specialist sports surfacing company and that the finished product and tennis court dimensions meet all the performance and safety accreditations set out by the relevant governing bodies of LTA, ITF and SAPCA. 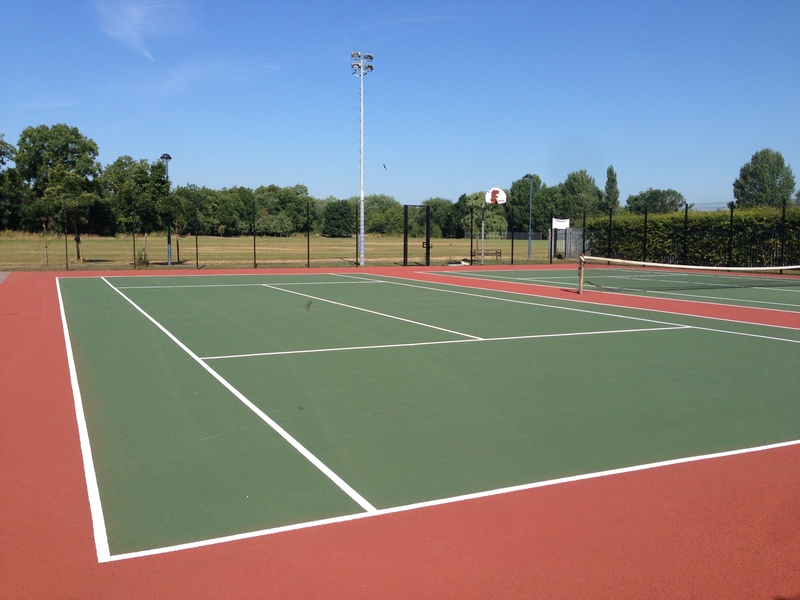 The costs of installing a professional or recreational facility can be dependent on the sizes, as well as a number of other factors including the specification of surfacing you are looking to install, the condition of the existing area and the location of your project. Prices and quotes can be tailored to meet your individual requirements in terms of budgets and surface specifications, this will ensure that you get a good quality facility which suits your needs and is within your price range. The size can affect the price when it comes to maintenance and cleaning as well, so if you need to fit within your budget now by reducing size, the regular maintenance checks we recommend will also be cheaper for you. Feel free to contact us today if you have any questions about the different specifications and size options we offer for these facilities. 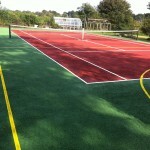 As experienced installers of many types of sports surfacing, we have worked with numerous clients in various locations. 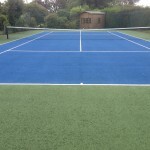 One of our experts would be happy to provide some more information and give you a quote if you are looking to build a new area with specific tennis court dimensions in mind.